Integrity Idol is bottom-up, people driven and positive. We are “naming and faming” the heroes working to ensure accountability for the SDGs. Integrity Idol is a global campaign to find, celebrate and support honest government officials who are working towards fulfilling the SDGs with integrity. The aim is to highlight these role-models, change the narrative around corruption and build coalitions of reformers across sectors who can push for greater accountability for service delivery to citizens. 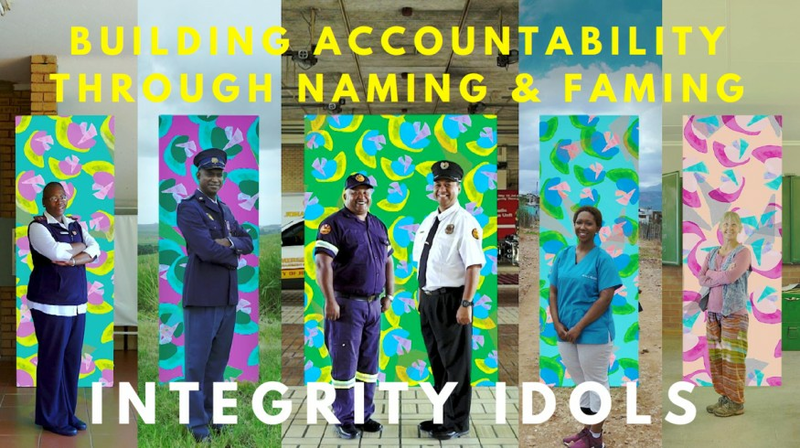 Integrity Idol now runs in 8 countries around the world - we mobilize hundreds of volunteers who gather thousands of recommendations for honest officials from citizens. We narrow these down to 5 in each country with the help of an expert panel and then professionally film these Idols. We put out the episodes on national TV and radio stations; and people can vote for their favorites via SMS, Whatsapp and online. We crown the winner at a national ceremony in front of VIPs and the media; and then work with them to share ideas, build coalitions and push for reforms within their organizations. Integrity Idol is innovative because it flips the narrative around corruption - it focuses not on the problem (corruption) but the solution (integrity). It doesn’t “name and shame”, it aims to “name and fame”; and it focuses not on the wrong-doers but the do-gooders. This makes it politically feasible, fun and hugely engaging. We are now doing a variety of things around the campaign - from working with civil service training schools to develop new curricula, to developing film labs for volunteers to help make the films. Gender is a key part of this effort, with many female Idols highlighted - and we focus on key sectors relevant to the SDGs to ensure attention and conversation around these critical challenges, but in a solutions-oriented way. The impact has been huge - the Idols have gone on to change policies, lead reforms and train thousands of others on integrity.